16 people have been arrested after authorities said they uncovered a drug ring that distributed cocaine, heroin and enough fentanyl to kill 6 million people. 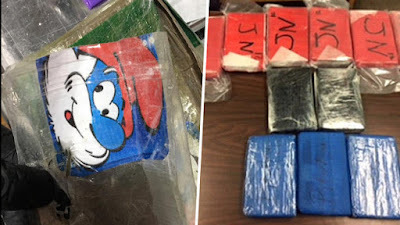 Police and drug enforcement agents seized more than 25 pounds fentanyl, 13 pounds of heroin, 6 pounds of cocaine, various quantities of crack and more than $175,000 in cash while investigating the Bronx-based drug ring. The ring smuggled drugs to New York City from Florida, then distributed them in the Bronx, Manhattan, Westchester County and New Jersey.